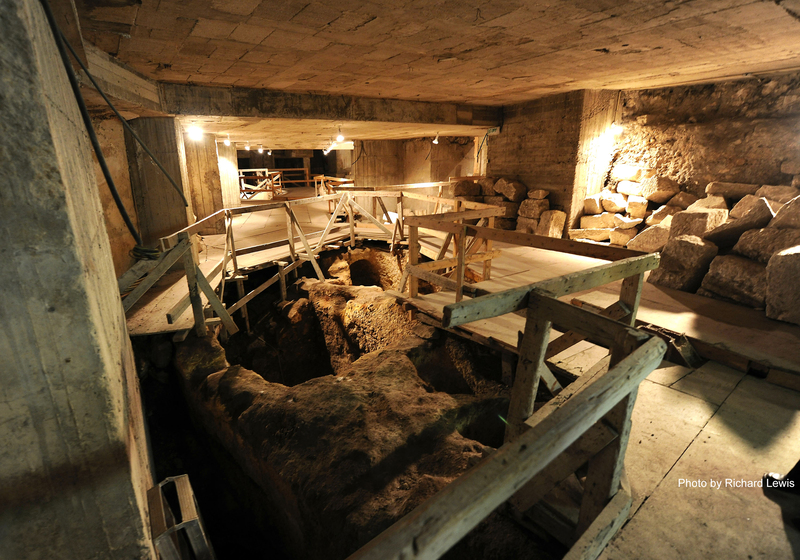 The founder of the museum, Theo Siebenberg, moved to the Old City of Jerusalem in 1970 and started excavating underneath his home in order to fulfil his life-long dream of finding an inextricable link between the Jerusalem of today and the Jerusalem of nearly three thousand years ago. The excavations carried out underneath the Siebenberg home in the course of 18 years have revealed remains of ancient dwellings, rooms cut from rock, Mikvah’s(ritual baths) an aqueduct, two huge cisterns and a burial vault, reaching back 3,000 years to the days of King David and the first temple period, as well as from the Second Temple period. It also shows artifacts, including pottery, glass, mosaics, coins, jars and weapons.